Revisited: “China: Through The Looking Glass”. In celebration of the Metropolitan Museum of Art’s exhibition, Vogue explored Western pop culture’s depictions of China throughout film and fashion. The exhibition explores the impact of Chinese aesthetics on Western fashion and how China has fueled the fashionable imagination for centuries. 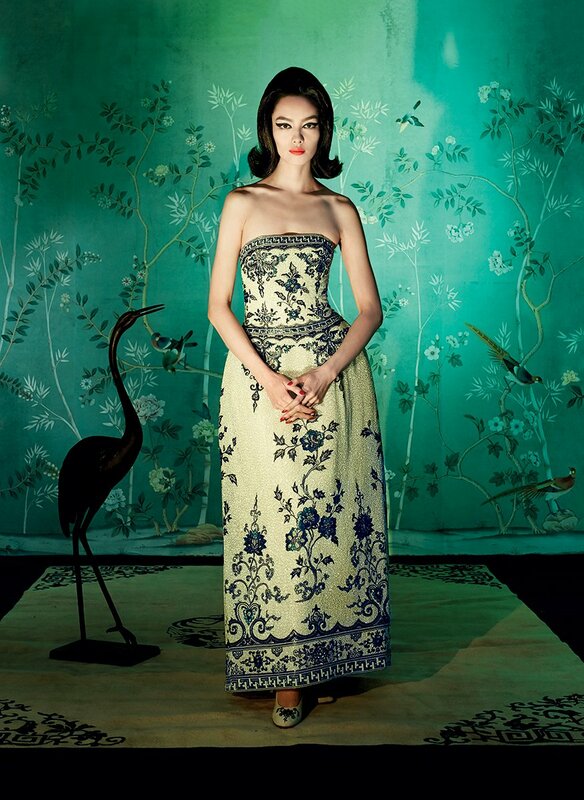 In this collaboration between The Costume Institute and the Department of Asian Art, high fashion is juxtaposed with Chinese costumes, paintings, porcelains, and other art, including films, to reveal enchanting reflections of Chinese imagery. Through the looking glass of fashion, designers conjoin disparate stylistic references into a pastiche of Chinese aesthetic and cultural traditions.